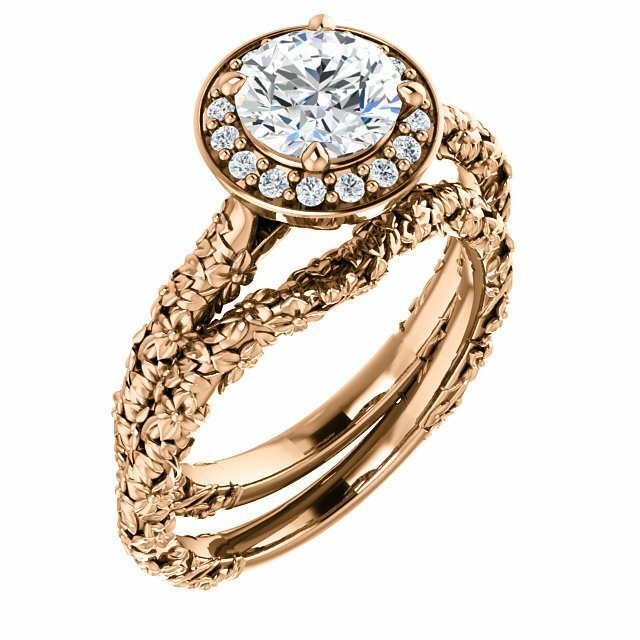 This Flower Halo Engagement Ring is one of the more unique nature inspired engagement rings we have created. Flowers literally litter the shank, giving the ring a nice texture as well as the look of the flowered vine. The 6,5mm center stone is surrounded by 1.3mm stones, but larger stones could easily be used. It is shown with a matching optional band. CENTER STONE: Any type of round stone can be used from 4-8mm. ACCENTS: 1/8 tctw. They are 1.3mm, so you are limited to Moissanite, Diamond, CZ, or precious Gem. The listed price is for a Flower Halo Engagement Ring with SI1-2 clarity and HI color diamonds. Center stone is not included. Please contact us for alternate pricing options. 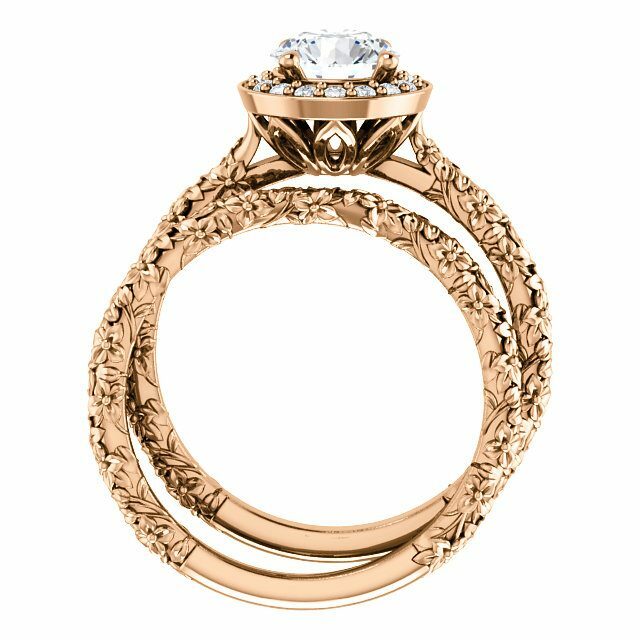 Click HERE to see another Flower Halo Engagement Ring. Click HERE to learn more about custom jewelry, to see our portfolio, or to contact us about a Flower Halo Engagement Ring. It can cost less than you think to have your very own custom engagement ring made just for you. Why hassle with the retail stores for uninspiring and overpriced engagement rings?